Soon Hwa has over 30 years of extensive experience in the Asia Pacific tourism and hospitality industry. Currently he is the Regional Director – Asia Pacific of Blacklane GmbH, a new tech professional chauffeur drive service provider offering rides in over 400 airports in some 180 cities globally. Prior to this, he was Vice President – Asia & Japan for Hertz International. Started the Asia & Japan Regional HQ in1993 in Singapore and built the business from scratch to be the regional market leader. He spent 3 years in Shanghai from 2007 to 2010 to oversee the China business. Before joining Hertz, he was Regional Manager SE Asia for Air New Zealand, GM Marketing for Mansfield Travel and Deputy GM of Avis Singapore. A BBA graduate of National University of Singapore, he is also a Fellow of the Chartered Institute of Marketing UK and attended the Stanford Executive Program. Presently serving as Chairman of the Pacific Asia Travel Association (PATA) Singapore Chapter as well as Member of the Industry Council and Board Proxy at PATA. Is currently Vice President of Corporate Marketing & Corporate Social Responsibility at CapitaLand. Besides overseeing the corporate branding strategies and marketing communications efforts of CapitaLand, Bee Leng manages the philanthropy and volunteerism efforts of the Group. Bee Leng is also the General Manager of CapitaLand Hope Foundation, the philanthropic arm of CapitaLand, which focuses efforts on education, healthcare and shelter needs of underprivileged children. From 2005 – 2007, Bee Leng was based in China as the China Correspondent for English language Asian TV News channel – Channel NewsAsia. Before joining Channel NewsAsia, Bee Leng was an award-winning journalist reporting and hosting Chinese news programmes for MediaCorp TV Channel 8. Bee Leng graduated from the National University of Singapore, majoring in Chinese Studies and Chinese Language (with an emphasis on translation studies). Nilesh is currently the Chief Marketing Officer for GE Healthcare Asia Pacific region based in Singapore. He leads marketing and commercial operations teams for Japan, ASEAN, ANZ and South Korea and has been in this position since July 2012. Prior to this role, Nilesh was the Global Chief Marketing Officer for CT Scan business at GE Healthcare in Milwaukee, WI, USA for three years. Prior to joining GE Healthcare, he was with Johnson & Johnson Medical for 10 years in various commercial, marketing and business development roles. Nilesh was born in Mumbai, India and was youngest of three siblings in the house. He attended University of Mumbai and graduated with a degree in Engineering before moving to Boston, USA and graduating with a Masters of Science degree in Engineering from University of Massachusetts. After working for 3 years as a Design Engineer, Nilesh decided to pursue Masters degree in business administration at The Ohio State University. Post his MBA, Nilesh joined J & J and worked in different locations in the US and EU. Susie is a storyteller who tells stories to influence sales and create new marketing experiences. She is a commercially minded senior marketing professional of over 20 years with a focus on returns and bottom-line. Her current job at IBM as the ASEAN Chief Marketing Officer is to use data scientifically as the #NewWayToEngage clients. Susie’s multitude of roles in her IBM tenure includes heading regional digital strategy for ASEAN, crafting brand strategies for the growth markets (Asia Pacific, Middle East, North Africa, and South America), leading integrated marketing & communications for ASEAN/South Asia, to name a few. Prior to being in technology, Susie started her career in the hospitality & government industries. In her leisure, she practices Pilates and is a kettle bell aficionado. Rohit Girdhar holds a Bachelor degree in engineering from BITS – PIlani, India, a Master of Science from Stanford University, being the recipient of Stanford’s Graduate Engineering Fellowship, as well as an MBA from INSEAD. He started his professional career at Teradyne Inc. San Jose, California in 1998 as an engineer/project manager. Between 2003 and 2004 he was employed at General Electric (GE). In 2005 he joined Infineon Technologies in Singapore, Infineon being Germany’s largest semiconductor company. In his current role, he is part of the regional top management leadership team and works on strategic assignments for Infineon legal entities in the Asia-Pacific region, e.g. in China, India, Taiwan, ASEAN, Korea and Australia. Rohit is currently a part of the Asia Europe Young Leader’s Forum organized by the Bertelsmann Stiftung, Germany. Mr Alok Mishra is currently the Vice President, Strategic Business Systems, Johnson & Johnson Medical Asia Pacific. Prior to his current assignment, Mr Mishra was the Vice President – Strategic Marketing & Market Access, Johnson & Johnson Medical Asia Pacific. Alok has worked in Johnson & Johnson for over 16 years and has held positions as Franchise Manager Cordis, Managing Director of Singapore and India and as the Area Vice President, South Asia. Alok has a Master’s Degree in Pharmacy and MBA from IIM Ahmedabad. He began his career in marketing in multinational companies in India viz, Boots Pharmaceuticals & Burroughs Wellcome and with a distribution company in the Middle East. He is a Member of MENSA. He is an adjunct faculty member at the MBA Program of National University of Singapore. Alok has wide exposure to the health care industry – Pharmaceuticals, Consumer Pharmaceuticals and Medical Devices and is currently a Council member of the Singapore Manufacturers Association and Chairman of the India Business Group covering India, Middle East, Central Asia and Africa. In the past, he has held positions of Chairman of Medical Technology Industry Group (MTIG) of Singapore Manufacturers’ Federation, and Chairman of Medical Technology Standards Committee of the Standards Council and Chairman of Medical Technology Group, Confederation of Indian Industry (CII). Sam Ahmed is Group Head, Marketing of Asia/Pacific, Middle East and Africa (APMEA) for MasterCard. Based in Singapore, Mr. Ahmed is responsible for managing the region’s marketing strategy and brand positioning. This includes overseeing the development of strategies and campaigns for MasterCard’s advertising, sponsorships, promotions, as well as digital, B2B and consumer marketing initiatives across APMEA. Recognized as one of Asia Pacific best creative Marketer’s & Ecomm leaders. Sam has been on 3 Asia Pacific Executive Leadership Teams for USD +$1 billion businesses in the AP region as Marketing & Category head. Leading Blue chip brands across Kraft (FMCG), Starbucks (Retail) and MasterCard (Technology) in Asia Pacific driving accelerated revenue growth through Digital, CRM, marketing, communication, product & commercial sales innovation. Prior to joining MasterCard in October 2013, Mr. Ahmed served as Vice President, Head of Marketing and Category at Starbucks Coffee Asia Pacific. Based in Hong Kong, he was a key member of the Starbucks Asia Pacific Leadership Team and was instrumental in restructuring the Asia Pacific loyalty card / digital engagement strategy. 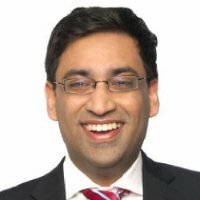 Before his position at Starbucks, Mr. Ahmed served on Kraft Foods’ Global Beverage Team as Head of Beverages Division, Asia Pacific, where he managed the regional beverage executive team and successfully led the growth in both market share and regional sales of various Asia Pacific brands. Sam was Global Brand Director at Fonterra, he was Awarded Asia Pacific Best Marketing Campaign in 2007 (Marketing Effectiveness Awards). Awarded for his work by World Health Organization (2006) and Peer Reviewed case study was published on Sam’s commercially successful global brand repositioning work (2007). Awarded in the top 40 under 40 Asia Pacific best marketing Industry professionals by Campaign Asia. Mr Ahmed is a graduate of Harvard Business School and has an MBA in International Marketing. Lynette Ang assumed the role of Chief Brand & Communications Officer at NTUC Enterprise, the holding cooperative of all the NTUC Social Enterprises effective 1 November 2013. Formerly, she was the Senior Vice President and Head, Strategic Marketing & Communications of NTUC Income and she has been with NTUC Income since 2007 and has been responsible for driving the company’s branding, marketing and communication strategy. In the six years she has been with NTUC Income, she has held several other responsibilities including overseeing sales and customer intelligence. Prior to this, Ms Ang was the Marketing Director of APL (Part of the NOL group) for more than five years, with global responsibilities for branding and marketing. With more than 20 years’ experience in branding and marketing, Ms Ang began her career in distinguished multi-national corporations such as Coca-Cola, Unilever and Anderson Consulting (Accenture). Subsequently, she became one of the pioneers of the standalone e-Bank, finatiq.com that was set up by OCBC. In her capacity as Chief Marketing Officer of finatiq.com, she transformed the organisation into a highly recognisable brand in a short span of time. Ms Ang graduated from the National University of Singapore with a Bachelor of Business Administration. 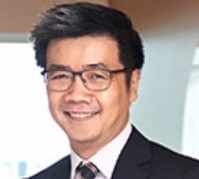 Alvin Neo is Chief Marketing Officer (CMO) at Parkway Pantai, part of IHH Healthcare (one of Asia’s leading private healthcare providers and the world’s second largest listed healthcare operator). He oversees operational and strategic marketing, sales, customer experience and call center functions for the company’s largest division. A veteran business leader, Alvin has over 20 years of extensive marketing, strategy, innovation and start-up experience across the Asia Pacific and Europe. He has deep FMCG marketing and brand leadership roots, having worked with Proctor & Gamble, Gillette and J&J Consumer. In addition, he has done tours of duty in top-tier Strategy Consulting as a team leader with The Boston Consulting Group (BCG) and in Technology as Global Business Development Director with UK startup Netdecisions. More recently he was in Healthcare with J&J Medical Devices & Diagnostics. Singaporean by birth, he has also lived in London, Shanghai and Jakarta. Alvin has a BBA from the National University of Singapore and completed the GMP at the Cambridge Judge School. His interests outside of work include anything outdoors (marathons, trail running, trekking), design and volunteerism. 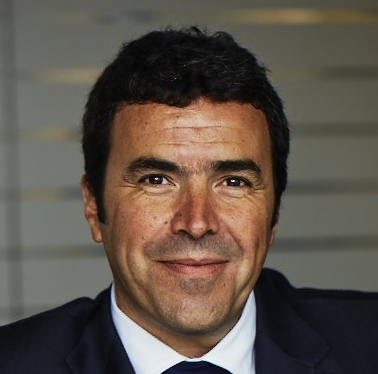 Ximo Soler is the Chief Marketing Officer for the Asia Pacific region. Soler will provide strategic direction for the Asia Pacific marketing community in Australia, New Zealand, Singapore, China, Hong Kong and Malaysia. Soler joined Randstad Spain in 2000 and Randstad Australia and New Zealand in 2012, bringing a wealth of experience in operations, marketing, communications and business concepts. As a key member of the senior leadership team in Australia, New Zealand and Spain, and the global Randstad Marketing and Concepts community, he has led Randstad’s brand development, product management, marketing and communications strategy and execution, demonstrating global best practice. He was instrumental in securing our sponsorship of the World Business Forum in Sydney and maximising our investment in the Randstad Award employer branding research project and our global sponsorship of the F1 Williams Martini Racing Team. He has also formalised Randstad’s internal communications structure, and led its best practice digital and automated marketing strategies. Soler’s passion for maximising the use of data and analytics to develop the right strategy and ongoing measurement which will assist Randstad in the continued acceleration and growth of the company in the Asia Pacific region. “I love what I do, and what motivates me is the fact that every day we are placing thousands and thousands of people into meaningful work, and this makes a positive contribution to their life and that of their families' while adding value to the business which hires them,” quoted Soler. As Head of Marketing, Zarina Stanford is responsible for the development and implementation of SAP’s marketing strategy across the Asia Pacific and Japan region. Zarina adopts a customer-centric and insight-driven approach in her go- to-market for SAP in the region, overseeing audience, industry, and portfolio marketing across all customer segments in support of the entire SAP business. She is a recognized change agent who spearheads business and transformational initiatives through imagining the possible. A seasoned industry veteran, Zarina has held various sales and marketing executive positions in North America and Asia. 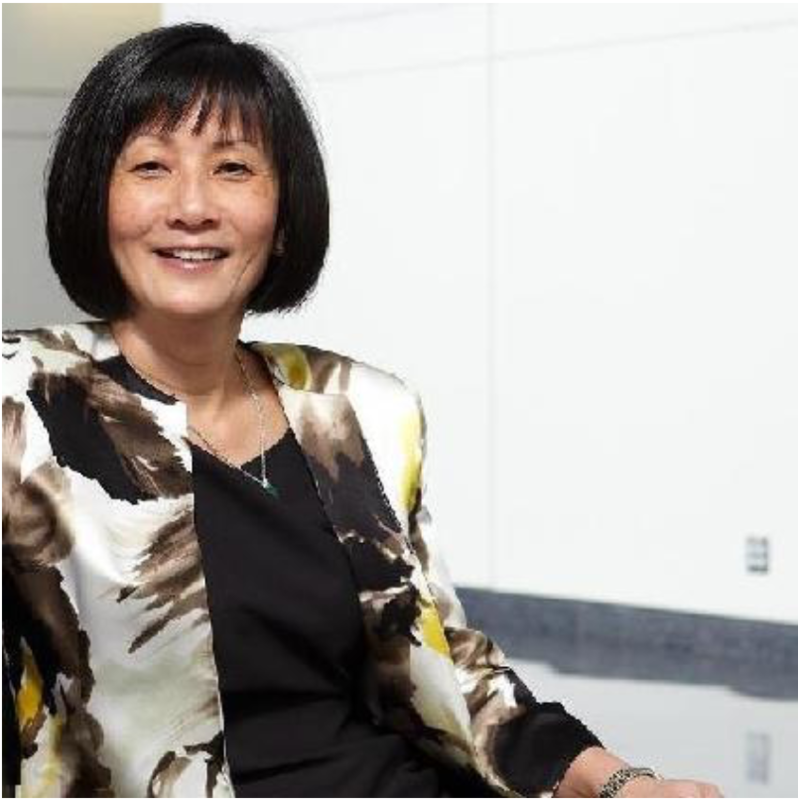 Prior to joining SAP, she was VP of Marketing at IBM where she oversaw strategy, marketing, and communications for Growth Markets and Asia Pacific. A champion for industry diversity and inclusion initiatives, Zarina is currently Bilateral Committee Chairperson for Asia Pacific-India Cooperation at the global women’s chamber ALL Ladies League (www.aall.in). Zarina is a graduate of the Asian Advanced Leadership Program from the Graduate School of Business at Stanford University. She holds an MBA from Southern Methodist University and a BA in Journalism from the University of North Texas. Born and raised in Hong Kong, Zarina and her family currently reside in Singapore. You can contact her at Zarina.lam.stanford@sap.com and her LinkedIn profile can be found at @zarinastanford. 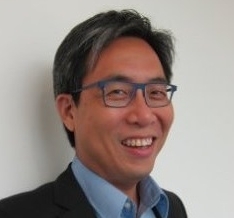 Based in Singapore, Lawrence has spent over 30 years in regional business development and marketing having worked for global companies – Reed Elsevier (USA), TOTAL Oil (France), Honeywell (USA), Bilcare Pharma (India), Yaohan Group (Japan) and Kerry Properties (Hong Kong) with expatriation to Beijing and Hong Kong respectively. Lawrence graduated from University of Strathclyde (UK) with a Master of Science Degree in International Marketing, a Bachelor of Science Degree in Psychology from the University of Southern Queensland (Australia), an Advanced Business Studies Diploma (Singapore) and a Chartered Diploma in Marketing from CIM (UK). Geoff joined the Singapore Press Holdings group in 1986 after climbing the ranks across several international advertising agency networks. He has worked on 5 major portfolios at SPH including pioneering the launch of The New Paper, Singapore’s leading paid morning tabloid; heading the Marketing Division’s Advertising & Promotions department; taking charge of the advertising sales teams for the group’s slew of 18 newspaper titles across multiple major industry sectors; and leading the strategy arm of SPH’s digital business, with marketing & branding responsibilities transcending all digital platforms. Currently, as Senior Vice President and Head of Strategic Marketing, Geoff’s professional work scope spans the Marketing Division’s non-sales pillars which include business development, research & applied analytics, content marketing, product branding & promotions, and a creative lab. Geoff is also responsible for evangelizing SPH’s integrated media ideology to the advertising fraternity. Geoff has spoken at major industry conferences in Australia, Austria, Denmark, the Middle East, Hong Kong, Malaysia, Philippines, Ukraine, Vietnam, and Canada. He is a regular contributor to INMA [International News Media Association] where his thoughts on the future of newspapers and commentaries on disruption & innovation are highly read across the media and publishing world. Geoff was conferred the PANPA 2011 MARKETER OF THE YEAR accolade by the Pacific Area Newspaper Publishers Association for outstanding performance in marketing for a newspaper publishing company. Pradeep is a highly experienced senior business leader, now involved in business consulting and education. With over 37 years of experience in the FMCG industry, Pradeep is an expert in building businesses in both mature and emerging markets. He has managed a wide range of iconic brands across some of the world’s fastest-growing and complex emerging markets including China, India, Russia, Turkey, and Southeast Asia, as well as developed markets like Australia and New Zealand, Japan, and Korea. He has a deep understanding of market dynamics and cultural diversity. He has a proven track record and passion for turning organizations around. Pradeep was Executive Vice President and President of Asia Pacific (AP) and Eastern Europe, Middle East and Africa (EEMEA) for Mondelez International till end 2013. Launched on October 1, 2012, Mondelez International consists of the global snacking and food brands of the former Kraft Foods Inc. Pradeep has served as President, Asia Pacific, since 2008 and he assumed his responsibility for the EEMEA region in 2012. Previously, Pradeep was Regional Managing Director for Asia, Africa, and the Middle East for Fonterra Brands. He was a member of the Fonterra leadership team as well as the company’s global brands marketing group. Prior to Fonterra, he spent 19 years with The Gillette Company, working in India, Russia, Turkey and Asia Pacific. Pradeep has also worked with Nestle, J Walter Thompson and the Tata group. Pradeep holds a Master of Management Studies degree from the Jamnalal Bajaj Institute of Management Studies, Bombay University, and a BA with Honors degree in Economics from Shri Ram College of Commerce, Delhi University. Pradeep is also the Founding President of Food Industry Asia (FIA), an advisory board Member of SMU’s Lee Kong Chian School of Business and a senior advisor to Hay Group. 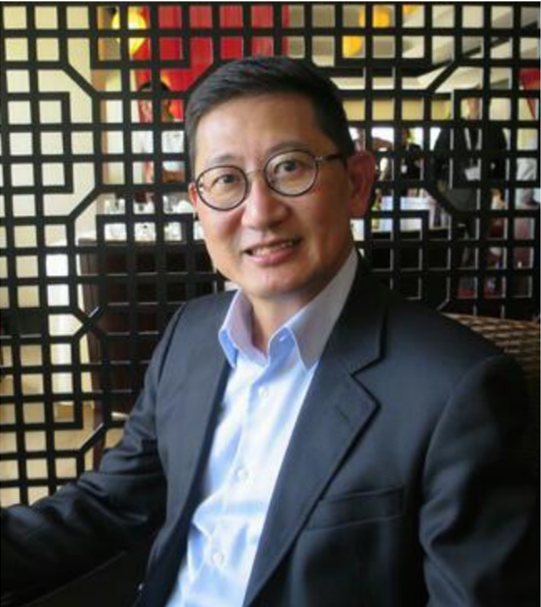 Mr. Howie Lau has been Chief Marketing Officer of StarHub Ltd., since July 8, 2015. Mr. Lau is responsible for charting StarHub’s brand and marketing strategies across all marketing functions and ensuring overall marketing synergy and brand consistency. Customer value management also falls under his purview. In addition, he oversees StarHub’s Pay TV and Broadband businesses as well as its Content and Local Production teams. He served as General Manager and Vice President ... at Lenovo (Singapore) Pte. Ltd. He served as Vice President of Corporate Development of Lenovo's Worldwide Finance Organisation, where he oversaw Lenovo's end-to-end Post Merger Management and related Merger & Acquisition matters. Previously, he was Lenovo's Vice President of Marketing and Communications for Emerging Markets Group, and was responsible for the strategy and execution of marketing and communications in China, Eastern Europe, Hong Kong, India, Korea, Latin America, Middle East, Russia, Taiwan and ASEAN markets. 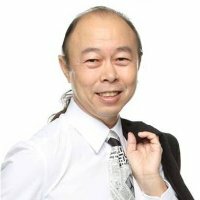 He is President of Singapore Computer Society's Executive Council, and is on the management board for NUS Institute of System Science and advisory committees for Nanyang Polytechnic School of IT and Anderson Junior College. He holds a Bachelor of Business Administration from the National University of Singapore, majoring in Promotional Management and Consumer Behaviour. Tito Costa is co-founder and Chief Marketing Officer at Zalora, the leading fashion e-commerce company in South-east Asia. He joined Zalora after launching several internet businesses in Europe and Asia as Managing Director of Rocket Internet. 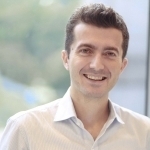 Before joining Rocket Internet, Tito worked in management consulting at McKinsey & Company, in private equity with Synergo SGR and as a visiting researcher in computer engineering at Stanford University. Tito holds an MBA from the Massachusetts Institute of Technology Sloan School of Management and a Master’s Degree in Computer and Electrical Engineering from the University of Bologna, Italy. Last updated on 28 Feb 2017 .